In the case of the California Delta, man made water shortages have been imposed on farmers by way of the ESA (Endangered Species Act) for the last three years. 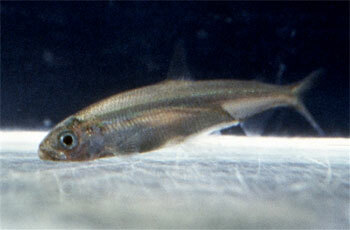 Still, the Delta smelt populations have declined, despite the restrictions. While the federal government refused to acknowledge that the cause for the decline in smelt populations was due to up to 1 BILLION gallons of partially treated sewage being flushed into the Delta per day, they blamed the water pumps for the decline in smelt. Their disastrous solution was to cut the water flow to farmers (who supply our country with 50% of its produce and nuts), thereby increasing the water levels in the Delta to dilute pollution. This didn’t work, smelt populations declined. In fact, California had a wetter-than-usual winter and instead of allowing more water to be delivered to farms, when the Shasta Reservoir filled to its safe capacity level, the water was bled out into the Pacific Ocean. Due to mounting pressure against the corrupt Department of Interior and obvious waste of water, the federal pump’s water delivery was increased in some areas. Many allege that this was also in part due to Central Valley Congressmen Dennis Cardoza and Jim Costa voting in favor of Obamacare, in trade for water to the farm areas. Ironically, the farms were promised 25% of the amount of water that had been contracted (40% is what is needed to keep the farms viable). Further, the farmers were promised a delivery up to 25%, but they were only guaranteed a 5% increase, thereby making it difficult for them to get loans because the farmers, in turn, couldn’t guarantee a harvest with only a 5% increase of water. Last week, Patricia Gilbert, a professor of ecology and oceanography from the University of Maryland, concluded that the smelt decline was a result of high ammonium levels from urine and feces. Specifically, she cited that the pollution was coming primarily from Sacramento, which doesn’t fully process its sewage before it is dumped into the Delta. Dr. Patricia Gilbert was then forced to resign from the National Academy of Sciences panel. The Academy forced her resignation because she went public with the information and they found it a conflict of interest for her to review her own work. This is incredibly hypocritical, given the profound conflicts of interest within the National Academy of Sciences. The National Academy of Sciences is a quasi- governmental agency, created during Lincoln’s administration. The Academy advises the government in scientific matters in order to set public policy and law. The NAS is also a tax exempt private corporation (they do not publish their financial records on their website, nor do they list their donors). NAS is subsidized by federal grants and other “contributions” from undisclosed donors. New members are elected by current members, thus ensuring cronyism, a depopulation agenda and fraud. For example, some of the prestigious members of the National Academy of Sciences (NAS) include Paul Ehrlich and John Holdren, Gene Likens and Frederick Bormann, and Mario J. Molina. John Holdren (Obama’s current science czar) and Paul Ehrlich are rabid eugenicists– supporters of selective breeding often through brutal means like genocide and forced sterilization, who co-authored ‘Ecoscience’, which advocates a “global police force” to enforce totalitarian measures of population control that includes forced abortions and mass sterilization programs conducted via the food and water supply, among other horrors. It is interesting to note that Ehrlich’s work also appears in the United Nations Agenda 21 Global Biodiversity Assessment Report. Mario J. Molina, a professor at MIT, won a Nobel Prize in Chemistry for creating alarmism over the ozone hole in the Antarctic, for which he blamed CFCs (chlorofluorocarbon gases from refrigerants and aerosol products like hairspray). Freon refrigerants were vilified as a major cause of the Arctic ozone depletion. It later came to light that ozone over the Arctic cyclically thins for a brief period of time, and there is no hole. However, corporate controlled policy makers rushed to ban freon because the DuPont patent was expiring on it, and DuPont would lose the monopoly because other companies could manufacture freon cheaply. DuPont did own a patent on an alternative product that was more expensive and more difficult to produce, so freon was banned. There is an obvious lack of easily accessible information about who funds the National Academy of Sciences in addition to the US federal government; clearly, the ruling elite monopoly owners have an overwhelming amount of ‘influence’. There is evidence of financial ties to the Rockefeller Foundation and Ford Foundation, who are cohorts in depopulation of the planet, as evidenced by the support of Rockefeller’s Population Council. The lawsuit to save the California Delta smelt and to close down the water pumps, based on the corrupt Endangered Species Act, was brought by the Natural Resources Defense Council, and is funded by the Ford Foundation (the annual budget is $87 million dollars). The California Delta smelt debacle is a model of how the globalists plan to create water shortages via the Endangered Species Act in order to pursue the objectives of Agenda 21 (depopulation and control). Therefore, science should be scrutinized. Valid science is independent and does not have a political or economic agenda attached to it. Valid science considers ALL data, as opposed to ignoring that which does not fit in its paradigm. Valid science has reproducible results. Valid science freely provides information to the public without the necessity of the Freedom of Information Act. The good news: Federal Judge Oliver Wanger ruled on 5/25/2010 that the biological opinion, provided by the National Marine Fisheries Services, a sub agency of the Department of Interior, failed to consider the impact that turning off the federal pump (owned by the Department of Interior) had on humans. Therefore, he allowed the pump to be reactivated at 40%- enough to irrigate farms, until June 15th and then the case will be revisited. It is important to remember that the Department of Interior also determines which species are ‘endangered’. While there are many good scientists out there, when public policy is concerned, or an economic agenda is at stake, we can see what happens to them as evidenced by Dr. Ed Krug and Dr. Patricia Gilbert. The NAS wanted to wait until Fall 2011 to issue their recommendation on the Delta issue, but now their advice is becoming irrelevant. In fact, this is a perfect model of how we can rid ourselves of tyranny. Because Dr. Patricia Gilbert took her results public, which clearly pointed the finger at the sewage issue, a condition that can be easily remedied, the Academy’s scientific edict may no longer matter. We can win against environmental tyranny through exposure- it worked with ‘Climategate’, and it is unfolding in the Delta right now. Massive exposure of fraudulent science is an effective way to end Agenda 21; when respect for authority (of science) disappears, people stop following corrupt leaders.